This outstanding example of a 2019 Mercedes-Benz CLA CLA 250 is offered by Mercedes-Benz of Boerne. This Mercedes-Benz includes: SMARTPHONE INTEGRATION Smart Device Integration ILLUMINATED STAR (PIO) BLIND SPOT ASSIST Blind Spot Monitor POLAR WHITE WHEEL LOCKS (PIO) Wheel Locks LED HEADLAMPS Daytime Running Lights Headlights-Auto-Leveling MATTE BLACK ASH WOOD TRIM Woodgrain Interior Trim REAR SPOILER (PIO) Rear Spoiler CRYSTAL GREY, MB-TEX LEATHERETTE SEAT TRIM Premium Synthetic Seats BLACK HEADLINER ILLUMINATED DOOR SILLS (PIO) WHEELS: 18 5-SPOKE ALLOY Tires - Front Performance Aluminum Wheels Tires - Rear Performance *Note - For third party subscriptions or services, please contact the dealer for more information. * Just what you've been looking for. With quality in mind, this vehicle is the perfect addition to take home. Look no further, you have found exactly what you've been looking for. This vehicle won't last long, take it home today.This outstanding example of a 2019 Mercedes-Benz CLA CLA 250 is offered by Mercedes-Benz of Boerne. This Mercedes-Benz includes: SMARTPHONE INTEGRATION Smart Device Integration ILLUMINATED STAR (PIO) BLIND SPOT ASSIST Blind Spot Monitor POLAR WHITE WHEEL LOCKS (PIO) Wheel Locks LED HEADLAMPS Daytime Running Lights Headlights-Auto-Leveling MATTE BLACK ASH WOOD TRIM Woodgrain Interior Trim REAR SPOILER (PIO) Rear Spoiler CRYSTAL GREY, MB-TEX LEATHERETTE SEAT TRIM Premium Synthetic Seats BLACK HEADLINER ILLUMINATED DOOR SILLS (PIO) WHEELS: 18 5-SPOKE ALLOY Tires - Front Performance Aluminum Wheels Tires - Rear Performance *Note - For third party subscriptions or services, please contact the dealer for more information. * Just what you've been looking for. With quality in mind, this vehicle is the perfect addition to take home. Look no further, you have found exactly what you've been looking for. This vehicle won't last long, take it home today. Mercedes-Benz of Boerne is excited to offer this 2019 Mercedes-Benz CLA. This Mercedes-Benz includes: SMARTPHONE INTEGRATION Smart Device Integration ILLUMINATED STAR (PIO) BLIND SPOT ASSIST Blind Spot Monitor WHEEL LOCKS (PIO) Wheel Locks PANORAMA SUNROOF Panoramic Roof Generic Sun/Moonroof Sun/Moonroof Dual Moonroof NIGHT BLACK LED HEADLAMPS Daytime Running Lights Headlights-Auto-Leveling MATTE BLACK ASH WOOD TRIM Woodgrain Interior Trim BLACK, MB-TEX LEATHERETTE SEAT TRIM Premium Synthetic Seats REAR SPOILER (PIO) Rear Spoiler 12-COLOR INTERIOR AMBIENT LIGHTING BLACK HEADLINER ILLUMINATED DOOR SILLS (PIO) WHEELS: 18 5-SPOKE ALLOY Tires - Front Performance Aluminum Wheels Tires - Rear Performance *Note - For third party subscriptions or services, please contact the dealer for more information. * There is no reason why you shouldn't buy this Mercedes-Benz CLA CLA 250. It is incomparable for the price and quality. Just what you've been looking for. With quality in mind, this vehicle is the perfect addition to take home. The Mercedes-Benz CLA CLA 250 will provide you with everything you have always wanted in a car -- Quality, Reliability, and Character.Mercedes-Benz of Boerne is excited to offer this 2019 Mercedes-Benz CLA. This Mercedes-Benz includes: SMARTPHONE INTEGRATION Smart Device Integration ILLUMINATED STAR (PIO) BLIND SPOT ASSIST Blind Spot Monitor WHEEL LOCKS (PIO) Wheel Locks PANORAMA SUNROOF Panoramic Roof Generic Sun/Moonroof Sun/Moonroof Dual Moonroof NIGHT BLACK LED HEADLAMPS Daytime Running Lights Headlights-Auto-Leveling MATTE BLACK ASH WOOD TRIM Woodgrain Interior Trim BLACK, MB-TEX LEATHERETTE SEAT TRIM Premium Synthetic Seats REAR SPOILER (PIO) Rear Spoiler 12-COLOR INTERIOR AMBIENT LIGHTING BLACK HEADLINER ILLUMINATED DOOR SILLS (PIO) WHEELS: 18 5-SPOKE ALLOY Tires - Front Performance Aluminum Wheels Tires - Rear Performance *Note - For third party subscriptions or services, please contact the dealer for more information. * There is no reason why you shouldn't buy this Mercedes-Benz CLA CLA 250. It is incomparable for the price and quality. Just what you've been looking for. With quality in mind, this vehicle is the perfect addition to take home. The Mercedes-Benz CLA CLA 250 will provide you with everything you have always wanted in a car -- Quality, Reliability, and Character. This 2019 Mercedes-Benz CLA CLA 250 is proudly offered by Mercedes-Benz of Boerne This Mercedes-Benz includes: SMARTPHONE INTEGRATION Smart Device Integration ILLUMINATED STAR (PIO) BLIND SPOT ASSIST Blind Spot Monitor WHEEL LOCKS (PIO) Wheel Locks PANORAMA SUNROOF Panoramic Roof Generic Sun/Moonroof Sun/Moonroof Dual Moonroof LED HEADLAMPS Daytime Running Lights Headlights-Auto-Leveling MATTE BLACK ASH WOOD TRIM Woodgrain Interior Trim BLACK, MB-TEX LEATHERETTE SEAT TRIM Premium Synthetic Seats REAR SPOILER (PIO) Rear Spoiler 12-COLOR INTERIOR AMBIENT LIGHTING BLACK HEADLINER ILLUMINATED DOOR SILLS (PIO) WHEELS: 18 5-SPOKE ALLOY Tires - Front Performance Aluminum Wheels Tires - Rear Performance *Note - For third party subscriptions or services, please contact the dealer for more information. * Look no further, you have found exactly what you've been looking for. This vehicle won't last long, take it home today. Beautiful color combination with Mountain Grey Metallic exterior over Black interior making this the one to own!This 2019 Mercedes-Benz CLA CLA 250 is proudly offered by Mercedes-Benz of Boerne This Mercedes-Benz includes: SMARTPHONE INTEGRATION Smart Device Integration ILLUMINATED STAR (PIO) BLIND SPOT ASSIST Blind Spot Monitor WHEEL LOCKS (PIO) Wheel Locks PANORAMA SUNROOF Panoramic Roof Generic Sun/Moonroof Sun/Moonroof Dual Moonroof LED HEADLAMPS Daytime Running Lights Headlights-Auto-Leveling MATTE BLACK ASH WOOD TRIM Woodgrain Interior Trim BLACK, MB-TEX LEATHERETTE SEAT TRIM Premium Synthetic Seats REAR SPOILER (PIO) Rear Spoiler 12-COLOR INTERIOR AMBIENT LIGHTING BLACK HEADLINER ILLUMINATED DOOR SILLS (PIO) WHEELS: 18 5-SPOKE ALLOY Tires - Front Performance Aluminum Wheels Tires - Rear Performance *Note - For third party subscriptions or services, please contact the dealer for more information. * Look no further, you have found exactly what you've been looking for. This vehicle won't last long, take it home today. Beautiful color combination with Mountain Grey Metallic exterior over Black interior making this the one to own! This 2019 Mercedes-Benz CLA CLA 250 is offered to you for sale by Mercedes-Benz of Boerne. This Mercedes-Benz includes: SMARTPHONE INTEGRATION Smart Device Integration WHEEL LOCKS (PIO) Wheel Locks PANORAMA SUNROOF Panoramic Roof Generic Sun/Moonroof Sun/Moonroof Dual Moonroof LED HEADLAMPS Daytime Running Lights Headlights-Auto-Leveling MATTE BLACK ASH WOOD TRIM Woodgrain Interior Trim BLACK, MB-TEX LEATHERETTE SEAT TRIM Premium Synthetic Seats REAR SPOILER (PIO) Rear Spoiler 12-COLOR INTERIOR AMBIENT LIGHTING BLACK HEADLINER PREMIUM PACKAGE Keyless Start HD Radio Hands-Free Liftgate Heated Front Seat(s) Satellite Radio Power Door Locks Keyless Entry Blind Spot Monitor Remote Trunk Release WHEELS: 18 5-SPOKE ALLOY Tires - Front Performance Aluminum Wheels Tires - Rear Performance *Note - For third party subscriptions or services, please contact the dealer for more information. * Just what you've been looking for. With quality in mind, this vehicle is the perfect addition to take home. This is the one. Just what you've been looking for. Beautiful color combination with Polar Silver Metallic exterior over Black interior making this the one to own!This 2019 Mercedes-Benz CLA CLA 250 is offered to you for sale by Mercedes-Benz of Boerne. This Mercedes-Benz includes: SMARTPHONE INTEGRATION Smart Device Integration WHEEL LOCKS (PIO) Wheel Locks PANORAMA SUNROOF Panoramic Roof Generic Sun/Moonroof Sun/Moonroof Dual Moonroof LED HEADLAMPS Daytime Running Lights Headlights-Auto-Leveling MATTE BLACK ASH WOOD TRIM Woodgrain Interior Trim BLACK, MB-TEX LEATHERETTE SEAT TRIM Premium Synthetic Seats REAR SPOILER (PIO) Rear Spoiler 12-COLOR INTERIOR AMBIENT LIGHTING BLACK HEADLINER PREMIUM PACKAGE Keyless Start HD Radio Hands-Free Liftgate Heated Front Seat(s) Satellite Radio Power Door Locks Keyless Entry Blind Spot Monitor Remote Trunk Release WHEELS: 18 5-SPOKE ALLOY Tires - Front Performance Aluminum Wheels Tires - Rear Performance *Note - For third party subscriptions or services, please contact the dealer for more information. * Just what you've been looking for. With quality in mind, this vehicle is the perfect addition to take home. This is the one. Just what you've been looking for. Beautiful color combination with Polar Silver Metallic exterior over Black interior making this the one to own! Contact Mercedes-Benz of Boerne today for information on dozens of vehicles like this 2019 Mercedes-Benz CLA CLA 250. This Mercedes-Benz includes: REAR SPOILER (PIO) Rear Spoiler PANORAMA SUNROOF Panoramic Roof Generic Sun/Moonroof Sun/Moonroof Dual Moonroof WHEEL LOCKS (PIO) Wheel Locks WHEELS: 18 5-SPOKE ALLOY Tires - Front Performance Aluminum Wheels Tires - Rear Performance 12-COLOR INTERIOR AMBIENT LIGHTING MATTE BLACK ASH WOOD TRIM Woodgrain Interior Trim ILLUMINATED DOOR SILLS (PIO) ILLUMINATED STAR (PIO) BLACK HEADLINER SMARTPHONE INTEGRATION Smart Device Integration LED HEADLAMPS Daytime Running Lights Headlights-Auto-Leveling PREMIUM PACKAGE Keyless Start HD Radio Hands-Free Liftgate Heated Front Seat(s) Satellite Radio Power Door Locks Keyless Entry Blind Spot Monitor Remote Trunk Release *Note - For third party subscriptions or services, please contact the dealer for more information. * Enhanced performance, a refined interior and exceptional fuel economy are just a few of the things you'll enjoy about this all-wheel drive vehicle. You could keep looking, but why? You've found the perfect vehicle right here. This is the one. Just what you've been looking for.Contact Mercedes-Benz of Boerne today for information on dozens of vehicles like this 2019 Mercedes-Benz CLA CLA 250. This Mercedes-Benz includes: REAR SPOILER (PIO) Rear Spoiler PANORAMA SUNROOF Panoramic Roof Generic Sun/Moonroof Sun/Moonroof Dual Moonroof WHEEL LOCKS (PIO) Wheel Locks WHEELS: 18 5-SPOKE ALLOY Tires - Front Performance Aluminum Wheels Tires - Rear Performance 12-COLOR INTERIOR AMBIENT LIGHTING MATTE BLACK ASH WOOD TRIM Woodgrain Interior Trim ILLUMINATED DOOR SILLS (PIO) ILLUMINATED STAR (PIO) BLACK HEADLINER SMARTPHONE INTEGRATION Smart Device Integration LED HEADLAMPS Daytime Running Lights Headlights-Auto-Leveling PREMIUM PACKAGE Keyless Start HD Radio Hands-Free Liftgate Heated Front Seat(s) Satellite Radio Power Door Locks Keyless Entry Blind Spot Monitor Remote Trunk Release *Note - For third party subscriptions or services, please contact the dealer for more information. * Enhanced performance, a refined interior and exceptional fuel economy are just a few of the things you'll enjoy about this all-wheel drive vehicle. You could keep looking, but why? You've found the perfect vehicle right here. This is the one. Just what you've been looking for. Contact Mercedes-Benz of Boerne today for information on dozens of vehicles like this 2019 Mercedes-Benz CLA CLA 250. This Mercedes-Benz includes: WHEELS: 18 5-SPOKE MULTI-SPOKE Tires - Front Performance Aluminum Wheels Tires - Rear Performance PANORAMA SUNROOF Panoramic Roof Generic Sun/Moonroof Sun/Moonroof Dual Moonroof CARBON FIBER LOOK MIRROR HOUSING CONVENIENCE PACKAGE Auto-Dimming Rearview Mirror Universal Garage Door Opener SAIL PATTERN TRIM HARMAN/KARDON PREMIUM SOUND SYSTEM Premium Sound System ILLUMINATED DOOR SILLS (PIO) ILLUMINATED STAR (PIO) CARBON FIBER LOOK SPOILER (PIO) Rear Spoiler SMARTPHONE INTEGRATION Smart Device Integration LED HEADLAMPS Daytime Running Lights Headlights-Auto-Leveling PREMIUM PACKAGE Keyless Start HD Radio Hands-Free Liftgate Heated Front Seat(s) Satellite Radio Power Door Locks Keyless Entry Blind Spot Monitor Remote Trunk Release *Note - For third party subscriptions or services, please contact the dealer for more information. * This Mercedes-Benz CLA features AWD. That means power and control delivered to all four wheels for maximum grip and improved handling. Just what you've been looking for. With quality in mind, this vehicle is the perfect addition to take home. Beautiful color combination with Polar Silver Metallic exterior over Black interior making this the one to own!Contact Mercedes-Benz of Boerne today for information on dozens of vehicles like this 2019 Mercedes-Benz CLA CLA 250. This Mercedes-Benz includes: WHEELS: 18 5-SPOKE MULTI-SPOKE Tires - Front Performance Aluminum Wheels Tires - Rear Performance PANORAMA SUNROOF Panoramic Roof Generic Sun/Moonroof Sun/Moonroof Dual Moonroof CARBON FIBER LOOK MIRROR HOUSING CONVENIENCE PACKAGE Auto-Dimming Rearview Mirror Universal Garage Door Opener SAIL PATTERN TRIM HARMAN/KARDON PREMIUM SOUND SYSTEM Premium Sound System ILLUMINATED DOOR SILLS (PIO) ILLUMINATED STAR (PIO) CARBON FIBER LOOK SPOILER (PIO) Rear Spoiler SMARTPHONE INTEGRATION Smart Device Integration LED HEADLAMPS Daytime Running Lights Headlights-Auto-Leveling PREMIUM PACKAGE Keyless Start HD Radio Hands-Free Liftgate Heated Front Seat(s) Satellite Radio Power Door Locks Keyless Entry Blind Spot Monitor Remote Trunk Release *Note - For third party subscriptions or services, please contact the dealer for more information. * This Mercedes-Benz CLA features AWD. That means power and control delivered to all four wheels for maximum grip and improved handling. Just what you've been looking for. With quality in mind, this vehicle is the perfect addition to take home. Beautiful color combination with Polar Silver Metallic exterior over Black interior making this the one to own! Mercedes-Benz of Boerne is excited to offer this 2019 Mercedes-Benz C-Class. This Mercedes-Benz includes: SILK BEIGE/BLACK, MB-TEX UPHOLSTERY Premium Synthetic Seats REAR SPOILER (PIO) Rear Spoiler BLIND SPOT ASSIST Blind Spot Monitor PREMIUM PACKAGE Keyless Start HD Radio Hands-Free Liftgate Satellite Radio Power Door Locks Keyless Entry Premium Sound System Power Liftgate Power Folding Mirrors Remote Trunk Release BLACK FABRIC HEADLINER ILLUMINATED DOOR SILL PANELS PRE-INSTALLATION FOR SD-CARD NAVIGATION NATURAL GRAIN WALNUT WOOD ILLUMINATED STAR (PIO) TELEPHONE PRE-WIRING/PORTABLE PHONE 64-COLOR AMBIENT LIGHTING WHEELS: 19 10-SPOKE Tires - Front All-Season Tires - Front Performance Aluminum Wheels Tires - Rear Performance Tires - Rear All-Season INDUCTIVE WIRELESS CHARGING HEATED FRONT SEATS Heated Front Seat(s) *Note - For third party subscriptions or services, please contact the dealer for more information. * Pull up in the vehicle and the valet will want to parked on the front row. This Mercedes-Benz C-Class is the vehicle others dream to own. Don't miss your chance to make it your new ride. Beautiful color combination with Grey exterior over GREY interior making this the one to own! You can finally stop searching... You've found the one you've been looking for.Mercedes-Benz of Boerne is excited to offer this 2019 Mercedes-Benz C-Class. This Mercedes-Benz includes: SILK BEIGE/BLACK, MB-TEX UPHOLSTERY Premium Synthetic Seats REAR SPOILER (PIO) Rear Spoiler BLIND SPOT ASSIST Blind Spot Monitor PREMIUM PACKAGE Keyless Start HD Radio Hands-Free Liftgate Satellite Radio Power Door Locks Keyless Entry Premium Sound System Power Liftgate Power Folding Mirrors Remote Trunk Release BLACK FABRIC HEADLINER ILLUMINATED DOOR SILL PANELS PRE-INSTALLATION FOR SD-CARD NAVIGATION NATURAL GRAIN WALNUT WOOD ILLUMINATED STAR (PIO) TELEPHONE PRE-WIRING/PORTABLE PHONE 64-COLOR AMBIENT LIGHTING WHEELS: 19 10-SPOKE Tires - Front All-Season Tires - Front Performance Aluminum Wheels Tires - Rear Performance Tires - Rear All-Season INDUCTIVE WIRELESS CHARGING HEATED FRONT SEATS Heated Front Seat(s) *Note - For third party subscriptions or services, please contact the dealer for more information. * Pull up in the vehicle and the valet will want to parked on the front row. This Mercedes-Benz C-Class is the vehicle others dream to own. Don't miss your chance to make it your new ride. Beautiful color combination with Grey exterior over GREY interior making this the one to own! You can finally stop searching... You've found the one you've been looking for. Mercedes-Benz of Boerne is excited to offer this 2019 Mercedes-Benz C-Class. This Mercedes-Benz includes: NATURAL GRAIN GREY OAK WOOD TRIM WHEELS: 19 AMG® MULTISPOKE Tires - Front All-Season Tires - Front Performance Aluminum Wheels Tires - Rear Performance Tires - Rear All-Season REAR SPOILER (PIO) Rear Spoiler BLIND SPOT ASSIST Blind Spot Monitor PREMIUM PACKAGE Keyless Start HD Radio Hands-Free Liftgate Satellite Radio Power Door Locks Keyless Entry Premium Sound System Power Liftgate Power Folding Mirrors Remote Trunk Release AMG® LINE Floor Mats BLACK FABRIC HEADLINER GRAPHITE GREY METALLIC WHEEL LOCKING BOLTS (PIO) Wheel Locks ILLUMINATED DOOR SILL PANELS MAGMA GREY/BLACK, MB-TEX UPHOLSTERY Premium Synthetic Seats SD-CARD NAVIGATION PRE-WIRING ILLUMINATED STAR (PIO) TELEPHONE PRE-WIRING/PORTABLE PHONE 64-COLOR AMBIENT LIGHTING INDUCTIVE WIRELESS CHARGING HEATED FRONT SEATS Heated Front Seat(s) *Note - For third party subscriptions or services, please contact the dealer for more information. * You appreciate the finer things in life, the vehicle you drive should not be the exception. Style, performance, sophistication is in a class of its own with this stunning Mercedes-Benz C-Class. The look is unmistakably Mercedes-Benz, the smooth contours and cutting-edge technology of this Mercedes-Benz C-Class C 300 will definitely turn heads. Just what you've been looking for. With quality in mind, this vehicle is the perfect addition to take home.Mercedes-Benz of Boerne is excited to offer this 2019 Mercedes-Benz C-Class. This Mercedes-Benz includes: NATURAL GRAIN GREY OAK WOOD TRIM WHEELS: 19 AMG® MULTISPOKE Tires - Front All-Season Tires - Front Performance Aluminum Wheels Tires - Rear Performance Tires - Rear All-Season REAR SPOILER (PIO) Rear Spoiler BLIND SPOT ASSIST Blind Spot Monitor PREMIUM PACKAGE Keyless Start HD Radio Hands-Free Liftgate Satellite Radio Power Door Locks Keyless Entry Premium Sound System Power Liftgate Power Folding Mirrors Remote Trunk Release AMG® LINE Floor Mats BLACK FABRIC HEADLINER GRAPHITE GREY METALLIC WHEEL LOCKING BOLTS (PIO) Wheel Locks ILLUMINATED DOOR SILL PANELS MAGMA GREY/BLACK, MB-TEX UPHOLSTERY Premium Synthetic Seats SD-CARD NAVIGATION PRE-WIRING ILLUMINATED STAR (PIO) TELEPHONE PRE-WIRING/PORTABLE PHONE 64-COLOR AMBIENT LIGHTING INDUCTIVE WIRELESS CHARGING HEATED FRONT SEATS Heated Front Seat(s) *Note - For third party subscriptions or services, please contact the dealer for more information. * You appreciate the finer things in life, the vehicle you drive should not be the exception. Style, performance, sophistication is in a class of its own with this stunning Mercedes-Benz C-Class. The look is unmistakably Mercedes-Benz, the smooth contours and cutting-edge technology of this Mercedes-Benz C-Class C 300 will definitely turn heads. Just what you've been looking for. With quality in mind, this vehicle is the perfect addition to take home. This 2019 Mercedes-Benz C-Class C 300 is proudly offered by Mercedes-Benz of Boerne This Mercedes-Benz includes: SILK BEIGE/BLACK, MB-TEX UPHOLSTERY Premium Synthetic Seats REAR SPOILER (PIO) Rear Spoiler PARKING ASSIST PACKAGE Automatic Parking Back-Up Camera WHEELS: 18 SPLIT 5-SPOKE (STD) Aluminum Wheels BLIND SPOT ASSIST Blind Spot Monitor HEAD-UP DISPLAY Heads-Up Display PREMIUM PACKAGE Keyless Start HD Radio Hands-Free Liftgate Satellite Radio Power Door Locks Keyless Entry Premium Sound System Power Liftgate Power Folding Mirrors Remote Trunk Release BLACK FABRIC HEADLINER DARK BROWN LINDEN WOOD TRIM Woodgrain Interior Trim 12.3 DIGITAL INSTRUMENT CLUSTER MAGMA GREY/BLACK, MB-TEX UPHOLSTERY Premium Synthetic Seats OBSIDIAN BLACK METALLIC SD-CARD NAVIGATION PRE-WIRING ILLUMINATED STAR (PIO) TELEPHONE PRE-WIRING/PORTABLE PHONE EXTERIOR LIGHTING PACKAGE Headlights-Auto-Leveling INDUCTIVE WIRELESS CHARGING HEATED FRONT SEATS Heated Front Seat(s) *Note - For third party subscriptions or services, please contact the dealer for more information. * Today's luxury vehicle is not just about opulence. It's about a perfect balance of performance, comfort and attention to detail. This 2019 Mercedes-Benz C-Class is the perfect example of the modern luxury. Based on the superb condition of this vehicle, along with the options and color, this Mercedes-Benz C-Class C 300 is sure to sell fast. You can finally stop searching... You've found the one you've been looking for.This 2019 Mercedes-Benz C-Class C 300 is proudly offered by Mercedes-Benz of Boerne This Mercedes-Benz includes: SILK BEIGE/BLACK, MB-TEX UPHOLSTERY Premium Synthetic Seats REAR SPOILER (PIO) Rear Spoiler PARKING ASSIST PACKAGE Automatic Parking Back-Up Camera WHEELS: 18 SPLIT 5-SPOKE (STD) Aluminum Wheels BLIND SPOT ASSIST Blind Spot Monitor HEAD-UP DISPLAY Heads-Up Display PREMIUM PACKAGE Keyless Start HD Radio Hands-Free Liftgate Satellite Radio Power Door Locks Keyless Entry Premium Sound System Power Liftgate Power Folding Mirrors Remote Trunk Release BLACK FABRIC HEADLINER DARK BROWN LINDEN WOOD TRIM Woodgrain Interior Trim 12.3 DIGITAL INSTRUMENT CLUSTER MAGMA GREY/BLACK, MB-TEX UPHOLSTERY Premium Synthetic Seats OBSIDIAN BLACK METALLIC SD-CARD NAVIGATION PRE-WIRING ILLUMINATED STAR (PIO) TELEPHONE PRE-WIRING/PORTABLE PHONE EXTERIOR LIGHTING PACKAGE Headlights-Auto-Leveling INDUCTIVE WIRELESS CHARGING HEATED FRONT SEATS Heated Front Seat(s) *Note - For third party subscriptions or services, please contact the dealer for more information. * Today's luxury vehicle is not just about opulence. It's about a perfect balance of performance, comfort and attention to detail. This 2019 Mercedes-Benz C-Class is the perfect example of the modern luxury. Based on the superb condition of this vehicle, along with the options and color, this Mercedes-Benz C-Class C 300 is sure to sell fast. You can finally stop searching... You've found the one you've been looking for. Contact Mercedes-Benz of Boerne today for information on dozens of vehicles like this 2019 Mercedes-Benz C-Class C 300. This Mercedes-Benz includes: MULTIFUNCTION SPORT STEERING WHEEL *PRICE TO FOLLOW* AMG® FLOOR MATS *PRICE TO FOLLOW* Floor Mats POLAR WHITE BLIND SPOT ASSIST Blind Spot Monitor HEAD-UP DISPLAY Heads-Up Display PREMIUM PACKAGE Keyless Start HD Radio Hands-Free Liftgate Satellite Radio Power Door Locks Keyless Entry Premium Sound System Power Liftgate Power Folding Mirrors Remote Trunk Release WHEELS: 19 AMG® TWIN 5-SPOKE W/BLACK ACCENTS Tires - Front All-Season Tires - Front Performance Tires - Rear Performance Tires - Rear All-Season AMG® LINE Floor Mats BLACK FABRIC HEADLINER DARK BROWN LINDEN WOOD TRIM Woodgrain Interior Trim ILLUMINATED DOOR SILL PANELS BLACK REAR SPOILER (PIO) Rear Spoiler PRE-INSTALLATION FOR SD-CARD NAVIGATION ILLUMINATED STAR (PIO) NIGHT PACKAGE REAR CROSS TRAFFIC ALERT *PRICE TO FOLLOW* 64-COLOR AMBIENT LIGHTING EXTERIOR LIGHTING PACKAGE Headlights-Auto-Leveling SADDLE BROWN/BLACK, MB-TEX UPHOLSTERY Premium Synthetic Seats INDUCTIVE WIRELESS CHARGING HEATED FRONT SEATS Heated Front Seat(s) *Note - For third party subscriptions or services, please contact the dealer for more information. * You appreciate the finer things in life, the vehicle you drive should not be the exception. Style, performance, sophistication is in a class of its own with this stunning Mercedes-Benz C-Class. Beautiful color combination with Polar White exterior over Saddle Brown/Black interior making this the one to own! Look no further, you have found exactly what you've been looking for.Contact Mercedes-Benz of Boerne today for information on dozens of vehicles like this 2019 Mercedes-Benz C-Class C 300. This Mercedes-Benz includes: MULTIFUNCTION SPORT STEERING WHEEL *PRICE TO FOLLOW* AMG® FLOOR MATS *PRICE TO FOLLOW* Floor Mats POLAR WHITE BLIND SPOT ASSIST Blind Spot Monitor HEAD-UP DISPLAY Heads-Up Display PREMIUM PACKAGE Keyless Start HD Radio Hands-Free Liftgate Satellite Radio Power Door Locks Keyless Entry Premium Sound System Power Liftgate Power Folding Mirrors Remote Trunk Release WHEELS: 19 AMG® TWIN 5-SPOKE W/BLACK ACCENTS Tires - Front All-Season Tires - Front Performance Tires - Rear Performance Tires - Rear All-Season AMG® LINE Floor Mats BLACK FABRIC HEADLINER DARK BROWN LINDEN WOOD TRIM Woodgrain Interior Trim ILLUMINATED DOOR SILL PANELS BLACK REAR SPOILER (PIO) Rear Spoiler PRE-INSTALLATION FOR SD-CARD NAVIGATION ILLUMINATED STAR (PIO) NIGHT PACKAGE REAR CROSS TRAFFIC ALERT *PRICE TO FOLLOW* 64-COLOR AMBIENT LIGHTING EXTERIOR LIGHTING PACKAGE Headlights-Auto-Leveling SADDLE BROWN/BLACK, MB-TEX UPHOLSTERY Premium Synthetic Seats INDUCTIVE WIRELESS CHARGING HEATED FRONT SEATS Heated Front Seat(s) *Note - For third party subscriptions or services, please contact the dealer for more information. * You appreciate the finer things in life, the vehicle you drive should not be the exception. Style, performance, sophistication is in a class of its own with this stunning Mercedes-Benz C-Class. Beautiful color combination with Polar White exterior over Saddle Brown/Black interior making this the one to own! Look no further, you have found exactly what you've been looking for. Contact Mercedes-Benz of Boerne today for information on dozens of vehicles like this 2019 Mercedes-Benz C-Class C 300. This Mercedes-Benz includes: SILK BEIGE/BLACK, MB-TEX UPHOLSTERY Premium Synthetic Seats PORCELAIN FABRIC HEADLINER REAR SPOILER (PIO) Rear Spoiler BLIND SPOT ASSIST Blind Spot Monitor PREMIUM PACKAGE Keyless Start HD Radio Hands-Free Liftgate Satellite Radio Power Door Locks Keyless Entry Premium Sound System Power Liftgate Power Folding Mirrors Remote Trunk Release WHEEL LOCKING BOLTS (PIO) Wheel Locks ILLUMINATED DOOR SILL PANELS MULTIMEDIA PACKAGE Navigation System Hard Disk Drive Media Storage MP3 Player NATURAL GRAIN WALNUT WOOD ILLUMINATED STAR (PIO) SELENITE GREY METALLIC REAR CROSS TRAFFIC ALERT *PRICE TO FOLLOW* 64-COLOR AMBIENT LIGHTING EXTERIOR LIGHTING PACKAGE Headlights-Auto-Leveling INDUCTIVE WIRELESS CHARGING HEATED FRONT SEATS Heated Front Seat(s) WHEELS: 18 MULTISPOKE W/BLACK ACCENTS *Note - For third party subscriptions or services, please contact the dealer for more information. * You appreciate the finer things in life, the vehicle you drive should not be the exception. Style, performance, sophistication is in a class of its own with this stunning Mercedes-Benz C-Class. The Mercedes-Benz C-Class C 300 will provide you with everything you have always wanted in a car -- Quality, Reliability, and Character. You've found the one you've been looking for. Your dream car.Contact Mercedes-Benz of Boerne today for information on dozens of vehicles like this 2019 Mercedes-Benz C-Class C 300. This Mercedes-Benz includes: SILK BEIGE/BLACK, MB-TEX UPHOLSTERY Premium Synthetic Seats PORCELAIN FABRIC HEADLINER REAR SPOILER (PIO) Rear Spoiler BLIND SPOT ASSIST Blind Spot Monitor PREMIUM PACKAGE Keyless Start HD Radio Hands-Free Liftgate Satellite Radio Power Door Locks Keyless Entry Premium Sound System Power Liftgate Power Folding Mirrors Remote Trunk Release WHEEL LOCKING BOLTS (PIO) Wheel Locks ILLUMINATED DOOR SILL PANELS MULTIMEDIA PACKAGE Navigation System Hard Disk Drive Media Storage MP3 Player NATURAL GRAIN WALNUT WOOD ILLUMINATED STAR (PIO) SELENITE GREY METALLIC REAR CROSS TRAFFIC ALERT *PRICE TO FOLLOW* 64-COLOR AMBIENT LIGHTING EXTERIOR LIGHTING PACKAGE Headlights-Auto-Leveling INDUCTIVE WIRELESS CHARGING HEATED FRONT SEATS Heated Front Seat(s) WHEELS: 18 MULTISPOKE W/BLACK ACCENTS *Note - For third party subscriptions or services, please contact the dealer for more information. * You appreciate the finer things in life, the vehicle you drive should not be the exception. Style, performance, sophistication is in a class of its own with this stunning Mercedes-Benz C-Class. The Mercedes-Benz C-Class C 300 will provide you with everything you have always wanted in a car -- Quality, Reliability, and Character. You've found the one you've been looking for. Your dream car. You can find this 2019 Mercedes-Benz C-Class C 300 and many others like it at Mercedes-Benz of Boerne. This Mercedes-Benz includes: REAR SPOILER (PIO) Rear Spoiler ILLUMINATED STAR (PIO) 64-COLOR AMBIENT LIGHTING PRE-INSTALLATION FOR SD-CARD NAVIGATION PREMIUM PACKAGE Keyless Start HD Radio Hands-Free Liftgate Satellite Radio Power Door Locks Keyless Entry Premium Sound System Power Liftgate Power Folding Mirrors Remote Trunk Release INDUCTIVE WIRELESS CHARGING NATURAL GRAIN GREY OAK WOOD TRIM TELEPHONE PRE-WIRING/PORTABLE PHONE GRAPHITE GREY METALLIC MAGMA GREY/BLACK, MB-TEX UPHOLSTERY Premium Synthetic Seats BLACK FABRIC HEADLINER MULTIFUNCTION SPORT STEERING WHEEL *PRICE TO FOLLOW* BLIND SPOT ASSIST Blind Spot Monitor ILLUMINATED DOOR SILL PANELS WHEELS: 19 AMG® MULTISPOKE Tires - Front All-Season Tires - Front Performance Aluminum Wheels Tires - Rear Performance Tires - Rear All-Season AMG® LINE Floor Mats WHEEL LOCKING BOLTS (PIO) Wheel Locks *Note - For third party subscriptions or services, please contact the dealer for more information. * There's a level of quality and refinement in this Mercedes-Benz C-Class that you won't find in your average vehicle. Enjoy driving? Well now you will get more thrills behind the wheel thanks to the heightened performance of AWD. Better handling. Better traction. Better driving experience. Beautiful color combination with Graphite Grey Metallic exterior over Magma Grey interior making this the one to own!You can find this 2019 Mercedes-Benz C-Class C 300 and many others like it at Mercedes-Benz of Boerne. This Mercedes-Benz includes: REAR SPOILER (PIO) Rear Spoiler ILLUMINATED STAR (PIO) 64-COLOR AMBIENT LIGHTING PRE-INSTALLATION FOR SD-CARD NAVIGATION PREMIUM PACKAGE Keyless Start HD Radio Hands-Free Liftgate Satellite Radio Power Door Locks Keyless Entry Premium Sound System Power Liftgate Power Folding Mirrors Remote Trunk Release INDUCTIVE WIRELESS CHARGING NATURAL GRAIN GREY OAK WOOD TRIM TELEPHONE PRE-WIRING/PORTABLE PHONE GRAPHITE GREY METALLIC MAGMA GREY/BLACK, MB-TEX UPHOLSTERY Premium Synthetic Seats BLACK FABRIC HEADLINER MULTIFUNCTION SPORT STEERING WHEEL *PRICE TO FOLLOW* BLIND SPOT ASSIST Blind Spot Monitor ILLUMINATED DOOR SILL PANELS WHEELS: 19 AMG® MULTISPOKE Tires - Front All-Season Tires - Front Performance Aluminum Wheels Tires - Rear Performance Tires - Rear All-Season AMG® LINE Floor Mats WHEEL LOCKING BOLTS (PIO) Wheel Locks *Note - For third party subscriptions or services, please contact the dealer for more information. * There's a level of quality and refinement in this Mercedes-Benz C-Class that you won't find in your average vehicle. Enjoy driving? Well now you will get more thrills behind the wheel thanks to the heightened performance of AWD. Better handling. Better traction. Better driving experience. Beautiful color combination with Graphite Grey Metallic exterior over Magma Grey interior making this the one to own! Contact Mercedes-Benz of Boerne today for information on dozens of vehicles like this 2019 Mercedes-Benz C-Class C 300. This Mercedes-Benz includes: AMG® FLOOR MATS *PRICE TO FOLLOW* Floor Mats BLACK, MB-TEX UPHOLSTERY Premium Synthetic Seats REAR SPOILER (PIO) Rear Spoiler NATURAL GRAIN BLACK ASH WOOD Woodgrain Interior Trim BLIND SPOT ASSIST Blind Spot Monitor HEAD-UP DISPLAY Heads-Up Display PREMIUM PACKAGE Keyless Start HD Radio Hands-Free Liftgate Satellite Radio Power Door Locks Keyless Entry Premium Sound System Power Liftgate Power Folding Mirrors Remote Trunk Release WHEELS: 19 AMG® TWIN 5-SPOKE W/BLACK ACCENTS Tires - Front All-Season Tires - Front Performance Tires - Rear Performance Tires - Rear All-Season AMG® LINE Floor Mats BRUSHED ALUMINUM DOOR TRIM Woodgrain Interior Trim BLACK FABRIC HEADLINER ILLUMINATED DOOR SILL PANELS PRE-INSTALLATION FOR SD-CARD NAVIGATION ILLUMINATED STAR (PIO) NIGHT PACKAGE REAR CROSS TRAFFIC ALERT *PRICE TO FOLLOW* 64-COLOR AMBIENT LIGHTING EXTERIOR LIGHTING PACKAGE Headlights-Auto-Leveling INDUCTIVE WIRELESS CHARGING HEATED FRONT SEATS Heated Front Seat(s) *Note - For third party subscriptions or services, please contact the dealer for more information. * You deserve a vehicle designed for higher expectations. This Mercedes-Benz C-Class delivers with a luxurious, well-appointed interior and world-class engineering. You can finally stop searching... You've found the one you've been looking for. There is no reason why you shouldn't buy this Mercedes-Benz C-Class C 300. It is incomparable for the price and quality.Contact Mercedes-Benz of Boerne today for information on dozens of vehicles like this 2019 Mercedes-Benz C-Class C 300. This Mercedes-Benz includes: AMG® FLOOR MATS *PRICE TO FOLLOW* Floor Mats BLACK, MB-TEX UPHOLSTERY Premium Synthetic Seats REAR SPOILER (PIO) Rear Spoiler NATURAL GRAIN BLACK ASH WOOD Woodgrain Interior Trim BLIND SPOT ASSIST Blind Spot Monitor HEAD-UP DISPLAY Heads-Up Display PREMIUM PACKAGE Keyless Start HD Radio Hands-Free Liftgate Satellite Radio Power Door Locks Keyless Entry Premium Sound System Power Liftgate Power Folding Mirrors Remote Trunk Release WHEELS: 19 AMG® TWIN 5-SPOKE W/BLACK ACCENTS Tires - Front All-Season Tires - Front Performance Tires - Rear Performance Tires - Rear All-Season AMG® LINE Floor Mats BRUSHED ALUMINUM DOOR TRIM Woodgrain Interior Trim BLACK FABRIC HEADLINER ILLUMINATED DOOR SILL PANELS PRE-INSTALLATION FOR SD-CARD NAVIGATION ILLUMINATED STAR (PIO) NIGHT PACKAGE REAR CROSS TRAFFIC ALERT *PRICE TO FOLLOW* 64-COLOR AMBIENT LIGHTING EXTERIOR LIGHTING PACKAGE Headlights-Auto-Leveling INDUCTIVE WIRELESS CHARGING HEATED FRONT SEATS Heated Front Seat(s) *Note - For third party subscriptions or services, please contact the dealer for more information. * You deserve a vehicle designed for higher expectations. This Mercedes-Benz C-Class delivers with a luxurious, well-appointed interior and world-class engineering. You can finally stop searching... You've found the one you've been looking for. There is no reason why you shouldn't buy this Mercedes-Benz C-Class C 300. It is incomparable for the price and quality. Contact Mercedes-Benz of Boerne today for information on dozens of vehicles like this 2019 Mercedes-Benz C-Class C 300. This Mercedes-Benz includes: REAR CHROME TRIM (PIO) HEAD-UP DISPLAY Heads-Up Display MULTIFUNCTION STEERING WHEEL Leather Steering Wheel 64-COLOR AMBIENT LIGHTING ILLUMINATED STAR (PIO) INDUCTIVE WIRELESS CHARGING PARKING ASSISTANCE PACKAGE Automatic Parking Back-Up Camera PRE-INSTALLATION FOR SD-CARD NAVIGATION BLACK FABRIC HEADLINER WHEEL LOCKING BOLTS (PIO) Wheel Locks WHEELS: 19 10-SPOKE Tires - Front All-Season Tires - Front Performance Aluminum Wheels Tires - Rear Performance Tires - Rear All-Season DARK BROWN SOFT TOP Convertible Soft Top DARK BROWN LINDEN WOOD TRIM Woodgrain Interior Trim PREMIUM PACKAGE HD Radio Satellite Radio Premium Sound System Power Folding Mirrors *Note - For third party subscriptions or services, please contact the dealer for more information. * The Mercedes-Benz C-Class C 300 is a well-built, yet compact and enjoyable ride that is unmatched by any other convertible on the road. With the ability to easily switch between having the top up or down, you'll be able to go about your weekday routine without feeling like you've sacrificed the weekend thrills. You appreciate the finer things in life, the vehicle you drive should not be the exception. Style, performance, sophistication is in a class of its own with this stunning Mercedes-Benz C-Class. Beautiful color combination with Silver exterior over BEIGE interior making this the one to own!Contact Mercedes-Benz of Boerne today for information on dozens of vehicles like this 2019 Mercedes-Benz C-Class C 300. This Mercedes-Benz includes: REAR CHROME TRIM (PIO) HEAD-UP DISPLAY Heads-Up Display MULTIFUNCTION STEERING WHEEL Leather Steering Wheel 64-COLOR AMBIENT LIGHTING ILLUMINATED STAR (PIO) INDUCTIVE WIRELESS CHARGING PARKING ASSISTANCE PACKAGE Automatic Parking Back-Up Camera PRE-INSTALLATION FOR SD-CARD NAVIGATION BLACK FABRIC HEADLINER WHEEL LOCKING BOLTS (PIO) Wheel Locks WHEELS: 19 10-SPOKE Tires - Front All-Season Tires - Front Performance Aluminum Wheels Tires - Rear Performance Tires - Rear All-Season DARK BROWN SOFT TOP Convertible Soft Top DARK BROWN LINDEN WOOD TRIM Woodgrain Interior Trim PREMIUM PACKAGE HD Radio Satellite Radio Premium Sound System Power Folding Mirrors *Note - For third party subscriptions or services, please contact the dealer for more information. * The Mercedes-Benz C-Class C 300 is a well-built, yet compact and enjoyable ride that is unmatched by any other convertible on the road. With the ability to easily switch between having the top up or down, you'll be able to go about your weekday routine without feeling like you've sacrificed the weekend thrills. You appreciate the finer things in life, the vehicle you drive should not be the exception. Style, performance, sophistication is in a class of its own with this stunning Mercedes-Benz C-Class. Beautiful color combination with Silver exterior over BEIGE interior making this the one to own! Contact Mercedes-Benz of Boerne today for information on dozens of vehicles like this 2019 Mercedes-Benz C-Class C 300. This Mercedes-Benz includes: WHEELS: 19 AMG® TWIN 5-SPOKE W/BLACK ACCENTS Tires - Front All-Season Tires - Front Performance Tires - Rear Performance Tires - Rear All-Season MULTIFUNCTION SPORT LEATHER STEERING WHEEL 64-COLOR AMBIENT LIGHTING ILLUMINATED STAR (PIO) AMG® LINE INDUCTIVE WIRELESS CHARGING EXTERIOR LIGHTING PACKAGE Headlights-Auto-Leveling SD-CARD NAVIGATION PRE-WIRING BLACK FABRIC HEADLINER WHEEL LOCKING BOLTS (PIO) Wheel Locks NIGHT PACKAGE DARK BROWN SOFT TOP Convertible Soft Top DARK BROWN LINDEN WOOD TRIM Woodgrain Interior Trim PREMIUM PACKAGE HD Radio Satellite Radio Premium Sound System Power Folding Mirrors *Note - For third party subscriptions or services, please contact the dealer for more information. * Let a little sunshine in. Just drop the top of this Mercedes-Benz C-Class convertible and go. There's a level of quality and refinement in this Mercedes-Benz C-Class that you won't find in your average vehicle. This vehicle won't last long, take it home today.Contact Mercedes-Benz of Boerne today for information on dozens of vehicles like this 2019 Mercedes-Benz C-Class C 300. This Mercedes-Benz includes: WHEELS: 19 AMG® TWIN 5-SPOKE W/BLACK ACCENTS Tires - Front All-Season Tires - Front Performance Tires - Rear Performance Tires - Rear All-Season MULTIFUNCTION SPORT LEATHER STEERING WHEEL 64-COLOR AMBIENT LIGHTING ILLUMINATED STAR (PIO) AMG® LINE INDUCTIVE WIRELESS CHARGING EXTERIOR LIGHTING PACKAGE Headlights-Auto-Leveling SD-CARD NAVIGATION PRE-WIRING BLACK FABRIC HEADLINER WHEEL LOCKING BOLTS (PIO) Wheel Locks NIGHT PACKAGE DARK BROWN SOFT TOP Convertible Soft Top DARK BROWN LINDEN WOOD TRIM Woodgrain Interior Trim PREMIUM PACKAGE HD Radio Satellite Radio Premium Sound System Power Folding Mirrors *Note - For third party subscriptions or services, please contact the dealer for more information. * Let a little sunshine in. Just drop the top of this Mercedes-Benz C-Class convertible and go. There's a level of quality and refinement in this Mercedes-Benz C-Class that you won't find in your average vehicle. This vehicle won't last long, take it home today. This 2019 Mercedes-Benz SLC SLC 300 is proudly offered by Mercedes-Benz of Boerne This Mercedes-Benz includes: ILLUMINATED DOOR SILLS (PIO) ANALOG CLOCK ON DASHTOP PREMIUM PACKAGE Multi-Zone A/C Keyless Start HD Radio A/C Climate Control Heated Front Seat(s) Satellite Radio Power Door Locks Keyless Entry Blind Spot Monitor HARMAN/KARDON Logic 7® SURROUND SOUND SYSTEM Premium Sound System AMG® LINE EXTERIOR Transmission w/Dual Shift Mode Tires - Front Performance Aluminum Wheels Floor Mats Tires - Rear Performance BURL WALNUT WOOD TRIM Woodgrain Interior Trim SMARTPHONE INTEGRATION PACKAGE Smart Device Integration WHEELS: 18 AMG® MULTI-SPOKE Tires - Front Performance Aluminum Wheels Tires - Rear Performance REAR DECK SPOILER (PIO) Rear Spoiler WHEEL LOCKING BOLTS (PIO) Wheel Locks *Note - For third party subscriptions or services, please contact the dealer for more information. * If you're a driving enthusiast, you'll be grateful for the chance to drive this Mercedes-Benz SLC SLC 300 convertible. You'll discover what millions of convertible owners have known for years -- nothing beats an open air experience. You deserve a vehicle designed for higher expectations. This Mercedes-Benz SLC delivers with a luxurious, well-appointed interior and world-class engineering. You've found the one you've been looking for. Your dream car.This 2019 Mercedes-Benz SLC SLC 300 is proudly offered by Mercedes-Benz of Boerne This Mercedes-Benz includes: ILLUMINATED DOOR SILLS (PIO) ANALOG CLOCK ON DASHTOP PREMIUM PACKAGE Multi-Zone A/C Keyless Start HD Radio A/C Climate Control Heated Front Seat(s) Satellite Radio Power Door Locks Keyless Entry Blind Spot Monitor HARMAN/KARDON Logic 7® SURROUND SOUND SYSTEM Premium Sound System AMG® LINE EXTERIOR Transmission w/Dual Shift Mode Tires - Front Performance Aluminum Wheels Floor Mats Tires - Rear Performance BURL WALNUT WOOD TRIM Woodgrain Interior Trim SMARTPHONE INTEGRATION PACKAGE Smart Device Integration WHEELS: 18 AMG® MULTI-SPOKE Tires - Front Performance Aluminum Wheels Tires - Rear Performance REAR DECK SPOILER (PIO) Rear Spoiler WHEEL LOCKING BOLTS (PIO) Wheel Locks *Note - For third party subscriptions or services, please contact the dealer for more information. * If you're a driving enthusiast, you'll be grateful for the chance to drive this Mercedes-Benz SLC SLC 300 convertible. You'll discover what millions of convertible owners have known for years -- nothing beats an open air experience. You deserve a vehicle designed for higher expectations. This Mercedes-Benz SLC delivers with a luxurious, well-appointed interior and world-class engineering. You've found the one you've been looking for. Your dream car. Mercedes-Benz of Boerne is excited to offer this 2019 Mercedes-Benz GLC. This Mercedes-Benz includes: LED LOGO PROJECTORS (SET OF 2) (PIO) BLACK, MB-TEX UPHOLSTERY Premium Synthetic Seats AMG® LINE Floor Mats NIGHT PACKAGE MULTICOLOR AMBIENT LIGHTING EXTERIOR LIGHTING PACKAGE MB-TEX DASHBOARD WITH TOPSTITCHING BRUSHED ALUMINUM RUNNING BOARDS Running Boards/Side Steps ILLUMINATED STAR (PIO) BURMESTER SURROUND SOUND SYSTEM Premium Sound System SELENITE GREY METALLIC WHEEL LOCKS (PIO) Wheel Locks SMARTPHONE INTEGRATION PACKAGE Smart Device Integration BLIND SPOT ASSIST Blind Spot Monitor PARKING ASSIST PACKAGE Automatic Parking Hands-Free Liftgate Back-Up Camera Remote Trunk Release HEAD-UP DISPLAY Heads-Up Display SPORT EXHAUST SYSTEM *Note - For third party subscriptions or services, please contact the dealer for more information. * Want more room? Want more style? This Mercedes-Benz GLC is the vehicle for you. You appreciate the finer things in life, the vehicle you drive should not be the exception. Style, performance, sophistication is in a class of its own with this stunning Mercedes-Benz GLC. Hit the gas pedal and put the engine power to all four wheels. With AWD, you'll have the greater performance right off the line, everytime you drive.Mercedes-Benz of Boerne is excited to offer this 2019 Mercedes-Benz GLC. This Mercedes-Benz includes: LED LOGO PROJECTORS (SET OF 2) (PIO) BLACK, MB-TEX UPHOLSTERY Premium Synthetic Seats AMG® LINE Floor Mats NIGHT PACKAGE MULTICOLOR AMBIENT LIGHTING EXTERIOR LIGHTING PACKAGE MB-TEX DASHBOARD WITH TOPSTITCHING BRUSHED ALUMINUM RUNNING BOARDS Running Boards/Side Steps ILLUMINATED STAR (PIO) BURMESTER SURROUND SOUND SYSTEM Premium Sound System SELENITE GREY METALLIC WHEEL LOCKS (PIO) Wheel Locks SMARTPHONE INTEGRATION PACKAGE Smart Device Integration BLIND SPOT ASSIST Blind Spot Monitor PARKING ASSIST PACKAGE Automatic Parking Hands-Free Liftgate Back-Up Camera Remote Trunk Release HEAD-UP DISPLAY Heads-Up Display SPORT EXHAUST SYSTEM *Note - For third party subscriptions or services, please contact the dealer for more information. * Want more room? Want more style? This Mercedes-Benz GLC is the vehicle for you. You appreciate the finer things in life, the vehicle you drive should not be the exception. Style, performance, sophistication is in a class of its own with this stunning Mercedes-Benz GLC. Hit the gas pedal and put the engine power to all four wheels. With AWD, you'll have the greater performance right off the line, everytime you drive. Contact Mercedes-Benz of Boerne today for information on dozens of vehicles like this 2019 Mercedes-Benz GLC GLC 300. This Mercedes-Benz includes: LED LOGO PROJECTORS (SET OF 2) (PIO) AMG® LINE Floor Mats DESIGNO BLACK NAPPA LEATHER PACKAGE Seat Memory Power Passenger Seat Floor Mats STATIC LED HEADLAMPS NIGHT PACKAGE DARK BROWN LINDEN WOOD TRIM Woodgrain Interior Trim MULTICOLOR AMBIENT LIGHTING BLACK FABRIC HEADLINER BLACK PREMIUM PACKAGE Keyless Start HD Radio Satellite Radio Power Door Locks Keyless Entry HEATED FRONT SEATS Heated Front Seat(s) BRUSHED ALUMINUM RUNNING BOARDS Running Boards/Side Steps ILLUMINATED STAR (PIO) BURMESTER SURROUND SOUND SYSTEM Premium Sound System WHEEL LOCKS (PIO) Wheel Locks BLIND SPOT ASSIST Blind Spot Monitor PRE-WIRING FOR REAR SEAT ENTERTAINMENT PARKING ASSIST PACKAGE Automatic Parking Hands-Free Liftgate Back-Up Camera Remote Trunk Release SD-CARD NAVIGATION PRE-WIRING SPORT EXHAUST SYSTEM WHEELS: 20 AMG® MULTISPOKE W/BLACK ACCENTS Tires - Front Performance Aluminum Wheels Tires - Rear Performance *Note - For third party subscriptions or services, please contact the dealer for more information. * This SUV gives you versatility, style and comfort all in one vehicle. Today's luxury vehicle is not just about opulence. It's about a perfect balance of performance, comfort and attention to detail. This 2019 Mercedes-Benz GLC is the perfect example of the modern luxury. When driving an all wheel drive vehicle, such as this Mercedes-Benz GLC GLC 300, superior acceleration, traction, and control come standard.Contact Mercedes-Benz of Boerne today for information on dozens of vehicles like this 2019 Mercedes-Benz GLC GLC 300. This Mercedes-Benz includes: LED LOGO PROJECTORS (SET OF 2) (PIO) AMG® LINE Floor Mats DESIGNO BLACK NAPPA LEATHER PACKAGE Seat Memory Power Passenger Seat Floor Mats STATIC LED HEADLAMPS NIGHT PACKAGE DARK BROWN LINDEN WOOD TRIM Woodgrain Interior Trim MULTICOLOR AMBIENT LIGHTING BLACK FABRIC HEADLINER BLACK PREMIUM PACKAGE Keyless Start HD Radio Satellite Radio Power Door Locks Keyless Entry HEATED FRONT SEATS Heated Front Seat(s) BRUSHED ALUMINUM RUNNING BOARDS Running Boards/Side Steps ILLUMINATED STAR (PIO) BURMESTER SURROUND SOUND SYSTEM Premium Sound System WHEEL LOCKS (PIO) Wheel Locks BLIND SPOT ASSIST Blind Spot Monitor PRE-WIRING FOR REAR SEAT ENTERTAINMENT PARKING ASSIST PACKAGE Automatic Parking Hands-Free Liftgate Back-Up Camera Remote Trunk Release SD-CARD NAVIGATION PRE-WIRING SPORT EXHAUST SYSTEM WHEELS: 20 AMG® MULTISPOKE W/BLACK ACCENTS Tires - Front Performance Aluminum Wheels Tires - Rear Performance *Note - For third party subscriptions or services, please contact the dealer for more information. * This SUV gives you versatility, style and comfort all in one vehicle. Today's luxury vehicle is not just about opulence. It's about a perfect balance of performance, comfort and attention to detail. This 2019 Mercedes-Benz GLC is the perfect example of the modern luxury. When driving an all wheel drive vehicle, such as this Mercedes-Benz GLC GLC 300, superior acceleration, traction, and control come standard. You can find this 2019 Mercedes-Benz SLC SLC 300 and many others like it at Mercedes-Benz of Boerne. This Mercedes-Benz includes: ILLUMINATED DOOR SILLS (PIO) BLACK ROOF LINING SPECIAL ORDER OPTION CHARGE BLACK ASH WOOD TRIM Woodgrain Interior Trim ANALOG CLOCK ON DASHTOP PREMIUM PACKAGE Multi-Zone A/C Keyless Start HD Radio A/C Climate Control Heated Front Seat(s) Satellite Radio Power Door Locks Keyless Entry Blind Spot Monitor HARMAN/KARDON Logic 7® SURROUND SOUND SYSTEM Premium Sound System AMG® LINE EXTERIOR Transmission w/Dual Shift Mode Tires - Front Performance Aluminum Wheels Floor Mats Tires - Rear Performance AMBIENT LIGHTING MULTIMEDIA PACKAGE Smart Device Integration HD Radio Navigation System AM/FM Stereo Hard Disk Drive Media Storage MP3 Player WHEELS: 18 AMG® MULTI-SPOKE Tires - Front Performance Aluminum Wheels Tires - Rear Performance REAR DECK SPOILER (PIO) Rear Spoiler WHEEL LOCKING BOLTS (PIO) Wheel Locks *Note - For third party subscriptions or services, please contact the dealer for more information. * Let a little sunshine in. Just drop the top of this Mercedes-Benz SLC convertible and go. There's a level of quality and refinement in this Mercedes-Benz SLC that you won't find in your average vehicle. Where do you need to go today? Just punch it into the Mercedes-Benz SLC on-board navigation system and hit the road.You can find this 2019 Mercedes-Benz SLC SLC 300 and many others like it at Mercedes-Benz of Boerne. This Mercedes-Benz includes: ILLUMINATED DOOR SILLS (PIO) BLACK ROOF LINING SPECIAL ORDER OPTION CHARGE BLACK ASH WOOD TRIM Woodgrain Interior Trim ANALOG CLOCK ON DASHTOP PREMIUM PACKAGE Multi-Zone A/C Keyless Start HD Radio A/C Climate Control Heated Front Seat(s) Satellite Radio Power Door Locks Keyless Entry Blind Spot Monitor HARMAN/KARDON Logic 7® SURROUND SOUND SYSTEM Premium Sound System AMG® LINE EXTERIOR Transmission w/Dual Shift Mode Tires - Front Performance Aluminum Wheels Floor Mats Tires - Rear Performance AMBIENT LIGHTING MULTIMEDIA PACKAGE Smart Device Integration HD Radio Navigation System AM/FM Stereo Hard Disk Drive Media Storage MP3 Player WHEELS: 18 AMG® MULTI-SPOKE Tires - Front Performance Aluminum Wheels Tires - Rear Performance REAR DECK SPOILER (PIO) Rear Spoiler WHEEL LOCKING BOLTS (PIO) Wheel Locks *Note - For third party subscriptions or services, please contact the dealer for more information. * Let a little sunshine in. Just drop the top of this Mercedes-Benz SLC convertible and go. There's a level of quality and refinement in this Mercedes-Benz SLC that you won't find in your average vehicle. Where do you need to go today? Just punch it into the Mercedes-Benz SLC on-board navigation system and hit the road. New vehicle pricing includes all offers. Tax, Title and Tags not included in vehicle prices shown and must be paid by the purchaser. While great effort is made to ensure the accuracy of the information on this site, errors do occur so please verify information with a customer service rep. This is easily done by calling us at (844) 650-8056 or by visiting us at the dealership. ^All vehicle prices are plus tax, title, plate and dealer fees. The advertised price does not include sales tax, vehicle registration fees, finance charges, documentation charges, and any other fees required by law. We attempt to update this inventory on a regular basis. However, there can be a delay between the sale of a vehicle and the update of the inventory. Pricing and availability of vehicles not currently in dealer inventory may vary based on a variety of factors, including but not limited to options, specials, and fees. You may not qualify for the offers, incentives, specials, or financing. 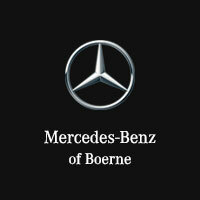 Mercedes-Benz of Boerne offers, incentives, specials, or financing are subject to expiration and other restrictions. See dealer for qualifications and complete details. All advertised vehicles are subject to actual dealer availability. Certain vehicles listed may not be available. Prices exclude state tax, title, license, and document preparation fee. Vehicle option and pricing are subject to change. Prices include all dealer offers and dealer incentives. Please check with your dealer for more information. Images displayed may not be representative of the actual trim level of a vehicle. Colors shown are the most accurate representations available. However, due to the limitations of web and monitor color display, we cannot guarantee that the colors depicted will exactly match the color of the car. Information provided is believed accurate but all specifications, pricing, and availability must be confirmed in writing (directly) with the dealer to be binding. Neither the Dealer nor Dealer Inspire is responsible for any inaccuracies contained herein and by using this application you the customer acknowledge the foregoing and accept such terms. All vehicles priced as currently equipped. Price does not include any dealer added options that are installed after sale.